Vinyl lettering is a versatile way to create custom, bold store-front signage, vehicle graphics, or wall designs for residential, commercial, retail or industrial spaces. We use the highest quality vinyl, along with some of the best vinyl cutting tools to ensure your custom creation looks professional and lasts. We can create full scale colour or single colour vinyl cut with a wide variety of typeface and colours to choose from. If you can imagine it, chances are we can create it for you. 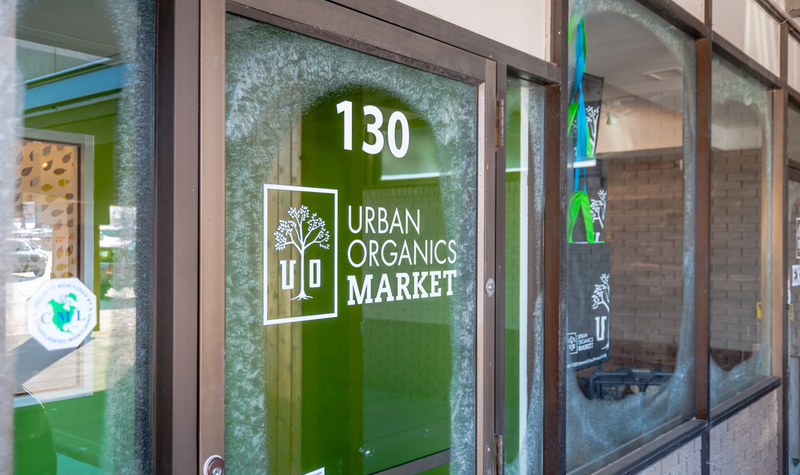 Urban Organics is a local organic food market in Sherwood Park that specializes in stocking only the most sustainable, organic products. A local design firm contracted us to make their vision come to life inside the flagship store. This included window frosting, wall decals, storefront decals and interior hanging signage.